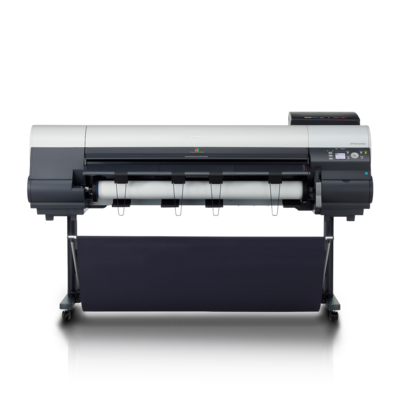 The imagePROGRAF iPF8400SE 44-inch large format printer is designed for vibrant poster creation in the signage, infographics display, and retail markets while maximizing productivity. The 6-Colour LUCIA EX pigment ink set emphasizes the use of red ink, which allows for incredibly vibrant and eye-catching prints to be produced while providing benefits such as scratch resistance. The printer includes a colour profile that’s designed specifically for poster creation to maximize use of the LUCIA EX ink system’s strengths in colour reproduction, and helps to produce a wide colour gamut that is in some cases comparable to what’s seen on 8-Colour devices. The compact design of the iPF8400SE allows for the 44" printer to be placed in small offices and stores where space is not a luxury. The iPF8400SE printer features an economy printing mode that reduces ink consumption by about 50% compared to standard mode to help cut down on printing costs. The printer supports ink tank sizes of 330ml and 700ml to enhance productivity, and a Sub-ink tank system keeps ink in reserve to allow tanks to be changed without interrupting a print. To expand poster printing options and capabilities, the iPF8400SE printer comes bundled with a free copy of Canon’s PosterArtist Lite software, which enables easy poster creation in just four steps. PosterArtist Lite comes with an image correction function that enables a user to automatically correct their image colours, as well as cut out selected areas of an image, right from within the software. The printer comes standard with additional applications and utilities that help make the printing process extremely user friendly such as; an Accounting Manager tool that helps keep track of job costs, a Print Plug-in for Microsoft Office, and Direct Print and Share, Canon’s cloud-based portal solution. 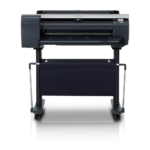 To improve versatility, the iPF8400SE printer has a Media Configuration Tool which allows customers to not only utilize existing Canon-branded media, but also with non-Canon branded media. By expanding on Canon's innovative and technological achievements, the imagePROGRAF iPF8400SE printer helps achieve consistently eye-popping customer-friendly prints.